Deltadolls Kings, Queens, Princes and Princesses. Please scroll down to view some of our family. 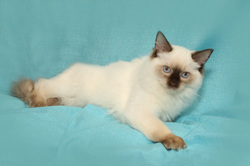 Shadow is a perfect stud who produces great looking kittens like Sapphire. 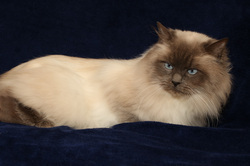 Some of his babies are winning in the show ring. Thanks to Sandy from Mikidz. 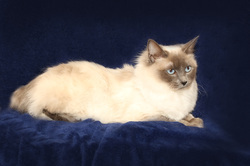 Cleo is a traditional Ragdoll. Thanks to Sandy from Mikidz. 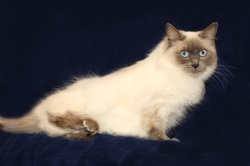 Queenie is a traditional Ragdoll she is also Cleo's sister. Poppy is an adventurous bundle of trouble. One day she will mature. Flie catching is her favourite past time along with chasing balls and her playmates.